Like his father, Angel Castro (who was certainly not angelic), Fidel was never particularly faithful. A communist from his student days at Havana University, he and his followers were generally wealthy scions, the kind of folks that formed the vanguard of the French Revolution. They were not Communists; they were ‘Marxist-Leninists’. 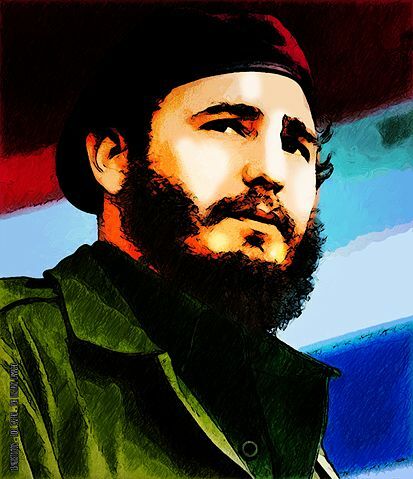 So on taking power in 1959, Castro and his cohort set about doing to Cuba what Marxist-Leninists do best: economic liquidation by the trashing of large scale private enterprise, ‘agrarian reform’ through the forced appropriation and division of land into meagre allotments, monopoly control by the State of supply and demand, repression of personal freedoms, the issue of worthless government bonds, communist indoctrination in schools (including re-written history) and youth-labour teams, a workers’ militia, mandatory worship of Uncle Fidel, ‘two-minute hate’ sessions directed at the U.S. and deeper impoverishment of the poor. Every intellectual does not have to belong in, or to, the Third World. The U.S. policy towards Cuba throughout the Castro regime has been a mix of naivety, machismo and denial. In April 1961, a Dumb and Dumber operation dissolved in death and defeat at the Bay of Pigs. Intelligence under the Eisenhower administration lacked imagination and under Kennedy, lacked nerve (and most critically, assurance to the invaders of decisive air support). Of the original force of 1,325 anti-Castro Cubans involved in the operation, the surviving 125 probably took Adlai Stevenson off their Christmas lists. Kennedy, usually so astute, got this horribly wrong, and the failure emboldened and empowered the Cuban dictatorship. In the wake of the missile crisis the next year, America developed a mini-Monroe doctrine towards the imprisoned island, maintained an embargo for generations, pretended the country 90 miles to its south did not exist, and got over its love for Robustos and Coronas. And Castro turned himself into a national cult. It’s time to bid farewell. But served your people ill. Warm and dry shall be your soul.